Zinnias are one of the easiest annuals to grow, grow quickly, and bloom heavily. They make a massive burst of color in your garden. Zinnias have bright, solitary, daisy-like flowerheads on a single, erect stem. 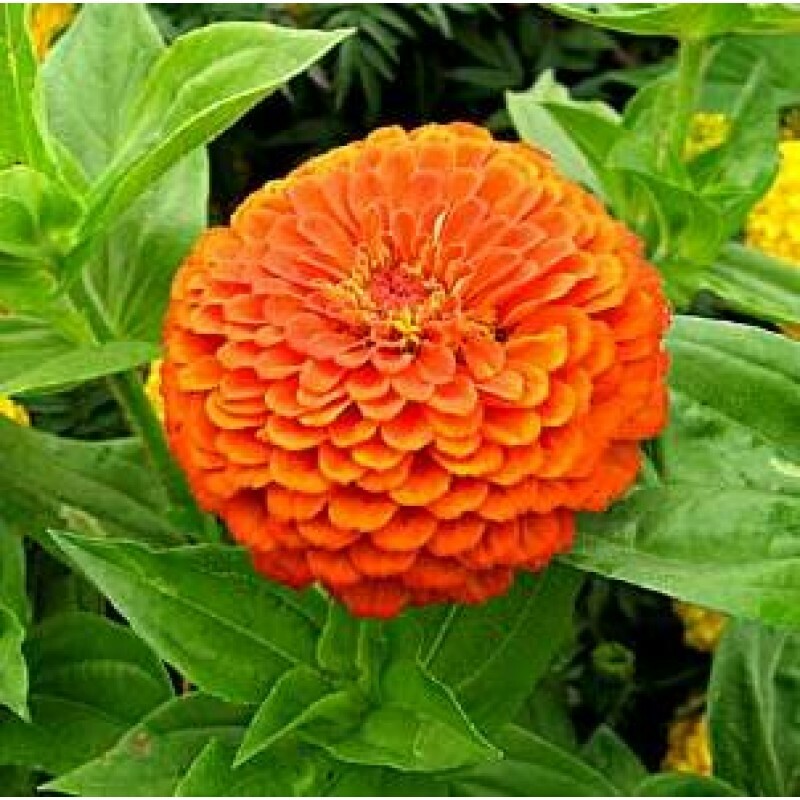 The most common zinnia is "dahlia-flowered" and grows up to three feet. Other types are "cactus-flowered." Use in an annual or mixed border. Smaller zinnias are suitable for edging, window boxes or other containers. The narrow-leaf zinnia also works well in hanging baskets. Zinnias are very popular for cut flowers. Full sun is essential wiht a minimum daylight temperature of 60 degrees F.
Zinnias are adaptable but prefer fertile, humus-rich, well drained soil at pH preference 5.5 - 7.5. Space plants 4 to 24 inches apart depending on variety. (Many common varieties are 6 inches within the row and 2 feet in between rows.) See back of seed package. Bacterial and fungal spots, powdery mildew, bacterial wilt. Minimize wetting of foliage to avoid disease. Zinnias generally take 60 to 70 days from seed to flower (though it depends on conditions). Get a full-size flower on a compact plant with cultivars of the 'Dreamland Series.' Dwarf and compact, these zinnias have fully double flowerheads, to 4 inches across in a wide color range; stems are 8–12 inches tall. The 'Thumbelinia Series' cultivars and dwarf and spreading, with single or semi-double, weather-resistant flowerheads in many colors. Their petals are 1-1/4 inch across and stems grow up to 6 inches long. The 'State Fair Series' are the biggest and tallest of them all with large, double flowerheads that are 3 inches across. Stems grow to 30 inches tall.